Gosaikunda lies north of Kathmandu. The Gosaikunda loop is quite remote and thinly populated area. Gosaikunda, a glacier lake, is the most famous one with several others glacier lakes adjoining it. Thousands of Hindu pilgrims visit the lakes during a full- moon festival in August and Hindu people believe that the god Mahadev (Shiva), intoxicated by grief due to his wife's (Pārbati) death, felt thirsty so he hit the stone with his holy stick, thus creating the lakes. Langtang Gosaikunda trek combines the remote and spectacular valley of Langtang, with the high mountain lakes at Gosainkund. The Gosaikunda loop is quite remote and thinly populated area. Gosaikunda, a glacier lake, is the most famous one with several others glacier lakes adjoining it. 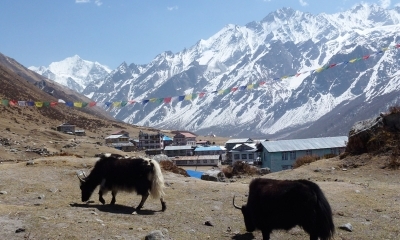 Langtang valley trek is the easiest trekking trail of Langtang trekking region. It lies closer to Kathmandu than other trekking regions, and is lesser used by both trekkers and locals. 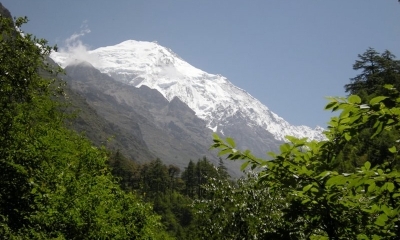 The Langtang valley is aptly called the valley of glaciers here; mountains raise soaring toward the sky. The valley offers pine forest, swift mountain streams, rugged rock and snow-capped peaks, grassy down and meadows sprinkled with daises and wild animals.